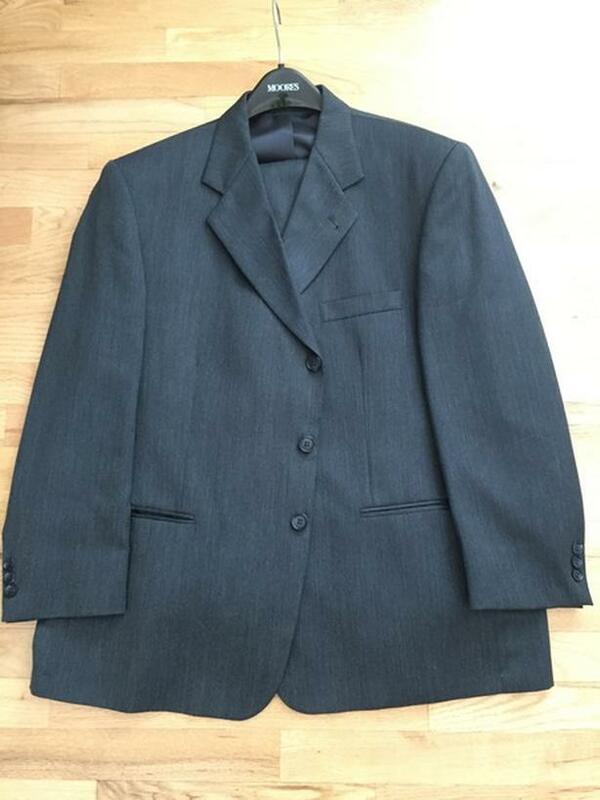  Log In needed $60 · Men's Oscar de la Renta Suit, Bluish/Grey, Chest 42-44, Leg Inseam 29"
In excellent condition. Worn twice. Purchased at Moores. It's difficult to get an accurate photo of the colour but this is the best I can take. It's a beautiful suit. Was worn twice by 5'7" man. Waist on pants would be 38-40.